XAMPP is an acronym, where X stands for cross platform or any other operating system ,where A stands for Apache, M stands for MYSQL, P stands for PHP and P stands for Perl. 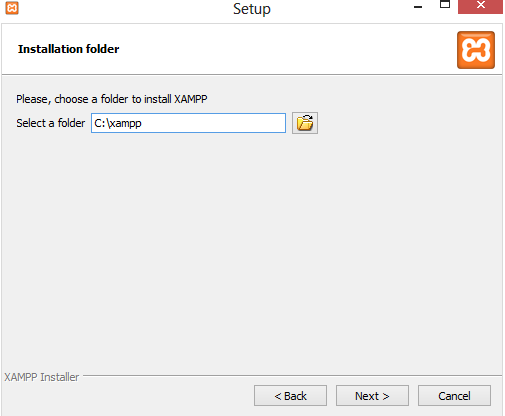 XAMPP is reliable and fast way to set up a environment for PHP programming. It provides all the components for developing, running and debugging for PHP applications. Xampp is good alternative for installing and configuring web server, a PHP engine and a database server. First have to download the latest version of xampp server https://www.apachefriends.org. After completion of downloading, extract /unzip the file and run the .exe file. 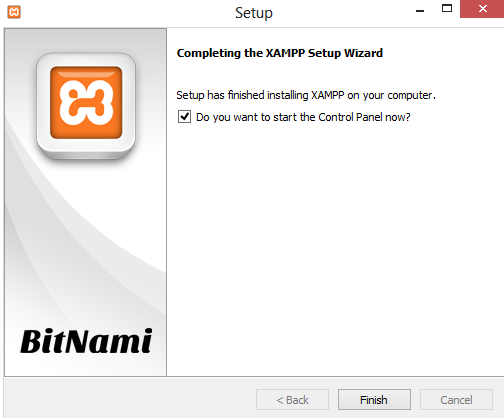 XAMPP installation wizard is straight forward, so using the Next button you can navigate to all the steps. 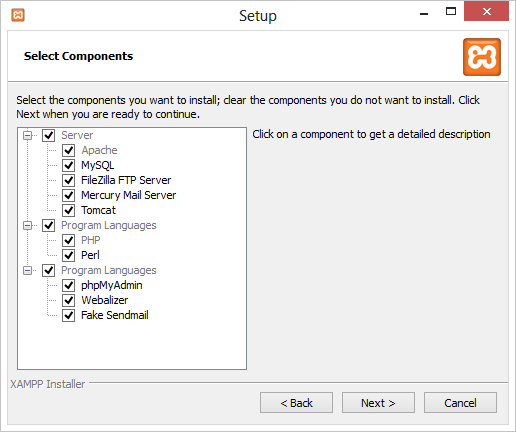 In select component wizard, you have to select the components from the list which are all the components as to be installed with XAMPP. Based on your choice, you can add /remove the components as per your needs. To work with PHP, you must add Apache, MYSQL (if you want to work with database) and PHP. After clicking Next button, all the required components are extracted to the specified folder. 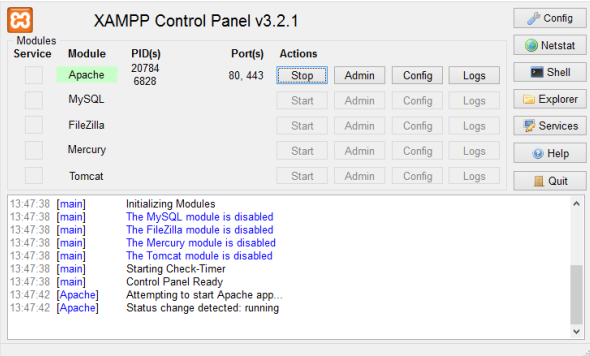 After extraction, you can launch the xampp control panel by marking the checkbox as ticked and click the Finish button. After launching the control panel, the user can perform several actions by starting / stopping the servers or changing configuration. To start the apache server, click the start button next to them. And to stop the apache server, click the stop button. Lets start the apache server by clicking the start button. If your working with database its must to start MYSQL also. After starting the server, go to browser and type localhost/xampp in URL. In that page, select the language. After that installation successful message is shown. Note: If you want to provide authentication, go to security and give new password, repeat password and click the password changing button.